Restores your skin to its peak condition! Where some cosmetic facial treatments may only act on the surface of the skin, DMK Enzyme Treatments work with the skin. The enzymes aim to strengthen the structural integrity of the skin to create a healthy environment for cells to live and thrive in. Addresses the individual challenges of chronologically injured, photo-aged, acneic and uneven pigmented skin. 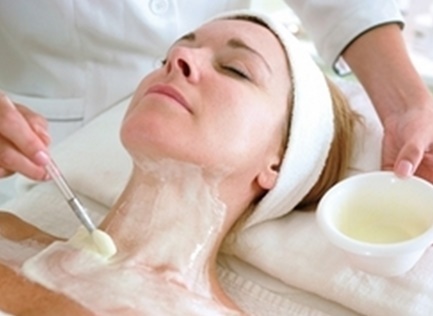 Enzyme Therapy exercises facial muscles and works to leave the skin feeling firm, tight and lifted. DMK Enzyme Therapy IS the "Ultimate" oxygen treatment designed to Revise, Reuild, protect and Maintain healthy skin. Enzematic Oxygen stimulates proteins in the skin to actively treat, restore balance, and protect all skin types and colors for cellular skin rehabilitation. See the Game of Thrones Facial on FOX NEWS - - CLICK HERE! DMK's Enzyme Therapy Goes Primetime! Watch as Entertainment Tonight experiences the latest internet sensation in the skincare industry. It's been nicknamed the "Game of Thrones Facial" - call it what you wish, the benefits of DMK's True Oxygen Therapy are undeniably the most effective for your skin. Watch the DMK Enzyme Therapy in ACTION!